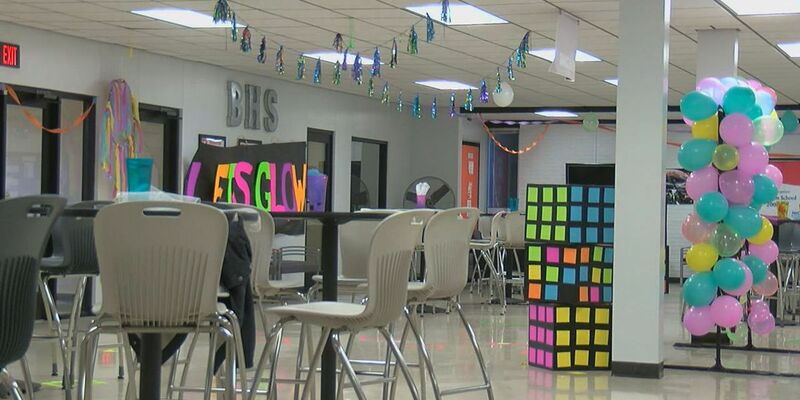 BATESVILLE, AR (KAIT) - A pair of students with special needs at Batesville High School have received the surprise of a lifetime. Kennadi Pretty and Makaya Killion were asked to homecoming. Chicken nuggets are Kennadi’s favorite food. Leyah has known Kennadi since the first grade and wanted to make sure she had enjoyable experiences in high school. “I wanted her to experience it and everybody gets asked out with signs, I wanted her to have that,” Leyah said. Makaya was also asked to attend homecoming by D’Mia. D’Mia Dent, another student at Batesville High School, asked her teacher what Makaya’s favorite candy was and made a poster to display it. “I came up with the idea on the poster that you would be the sweedish fish in the sea if you went to homecoming with me," Dent said. Makaya has Angelman Syndrome and is wheelchair bound. D’Mia surprised her with an early celebration because Makaya will not be able to attend homecoming. Both parents of the students with special needs seemed delighted by the sweet experience and were happy that the students thought of their daughters. The homecoming is Oct. 19.